This will be our first year with Finn in the picture, so I am particularly ecstatic about it. He is changing so much right now, that I am going to try and wait to take photos until a bit closer to December, but the planner in me may not be able to hold off much longer. Our favorite family photographer Kali mentioned that she has some Christmas mini sessions in mind, so I may even go the professional photo route this year. Eek, I'm giddy just thinking about it. And if for some crazy reason, I decide to do a picture of just the boys, I am obsessed with this template! Of course, I will have to wait until we have pictures to actually start designing our card. I know this holiday season is going to fly by far too quickly now that I'm so busy with both boys. I'm am going to try and live in the moment and enjoy each day as it comes for the rest of the year. 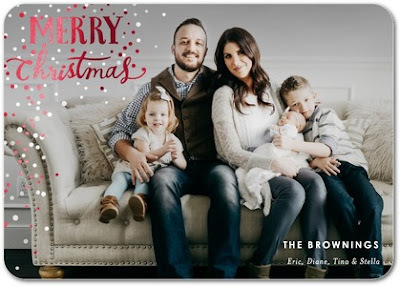 But let's be honest, I cannot wait for the Christmas cards to start arriving! I've never heard of this site! 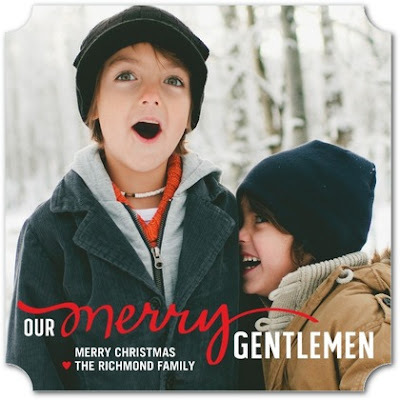 I've been using shutterfly for the past few years for our Christmas cards. I can't wait to see yours! We just did our family photos and now I can't decide which photo and card to choose! So many decisions! I love tiny prints and the foil pressed ones... So pretty! 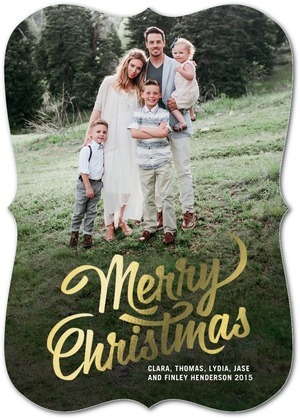 I'm about to purchase my Christmas cards and I'm so excited. I love the two middle templates, something about RED and Merry Christmas makes me happy. I'm using paper culture and if you check them out on facebook you can get a 50% discount! WOOHOO! Love all the designs you picked out! It's so hard to find a good time to take pictures of the kiddos since they change so much so quickly! Can't wait to see what you pick out! Ooooo i really LOVE the last one! I can't wait to send out of Christmas cards this year! I have a big vision in my mind of what kind of pic I can get of the boys the day after I come home from the hospital and I'm just praying I can pull it off! I love the second to last one so much! I've never used Tiny Prints so I may have to check them out this year. I had big plans for our Christmas card photo this year (we were going to go professional! ), but with my husband returning home so late, we may have to DIY it. Less than 2 months until Christmas now - it's definitely time to be thinking about these!!! So exciting! We're doing ours this Sunday, can't wait to see yours as a family of 4! So cute! Love all of your picks! I need to get our family photos scheduled stat. Im with you, I enjoy the traditional Merry Christmas sentiment too. That foil gold is so pretty! I am starting to think about our Christmas card! I have so many ideas. Can't wait to see yours. :) I'm excited for the fourth member of our family to be in it this year. That second layout! I think the picture is amazing!!! You are spot on with having two kids it takes way more time to do ANYTHING!! We attempted family photos a few weekends ago for Christmas cards and it was a fricking disaster. I mean, not one single photo was good enough to use. Total complete disaster. I'll have to tell you all about it someday. :( Right now I get too upset to even think about. I am just mentally scheming as well. I just looked into the print lab (WHCC) I use for my photo business. They have a lot of options too! We took our family photos last night and I CANNOT wait to get them back and start planning our Christmas cards. I feel like a lot of people don't do them anymore, but I just love hanging up all the cards I get in the mail. One of my very favorite parts of the season! Oh I love all of these. I think the first is my favorite though. I love the cut of the card! 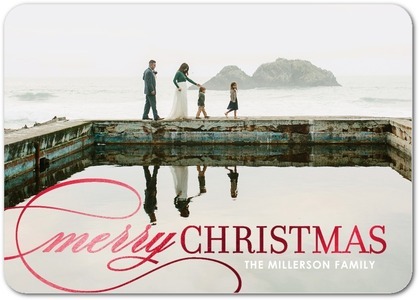 I need to get some family pictures done so that I have one for cards this year! I love that Merry Gentlemen card! It's perfect! I've been planning what we're going to wear for pictures...now we just have to get one taken. Who knows when that will actually be? I'd love to do professional pics but I'm so nervous it'll be a complete bust.